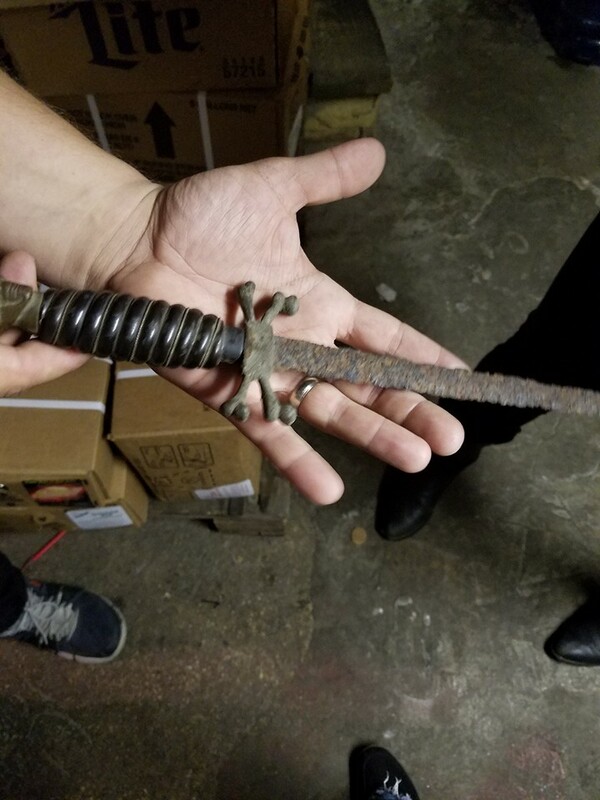 The owner of the Tonic Room shows us a rusty dagger found in the “haunted basement”. A couple of weeks ago, I had the honor of going to Meghann Wright & The Sure Thing’s show at the Tonic Room in Chicago. It’s kind of a small bar, and apparently the fourth-most haunted bar/pub in Illinois. Recently, Meghann shot a video for her song “River”, and you can totally see it. She’s singing in a graveyard by a mausoleum, and you see clips of a bloody ritual, deserving of a horror film. Rivers are often used in rituals, and can signal rebirth and salvation — but what happens when you’ve reached the point of no return? When no one is there to save you? You kind of have to cast out your own demons, and fight your own way. 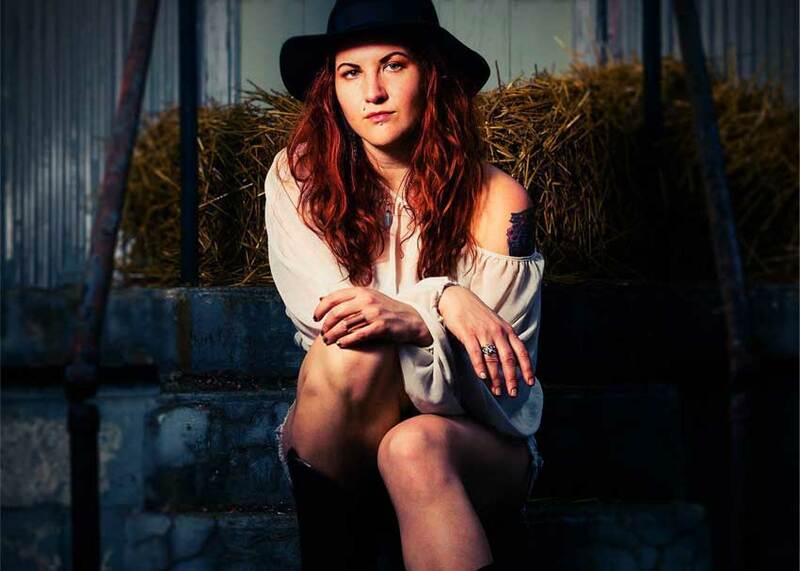 Mix blues, rock, and a little bit of country, and you’ve got the recipe for Meghann’s music. Her sultry voice has a strength behind it — one she learned to develop over time once she decided to go solo. 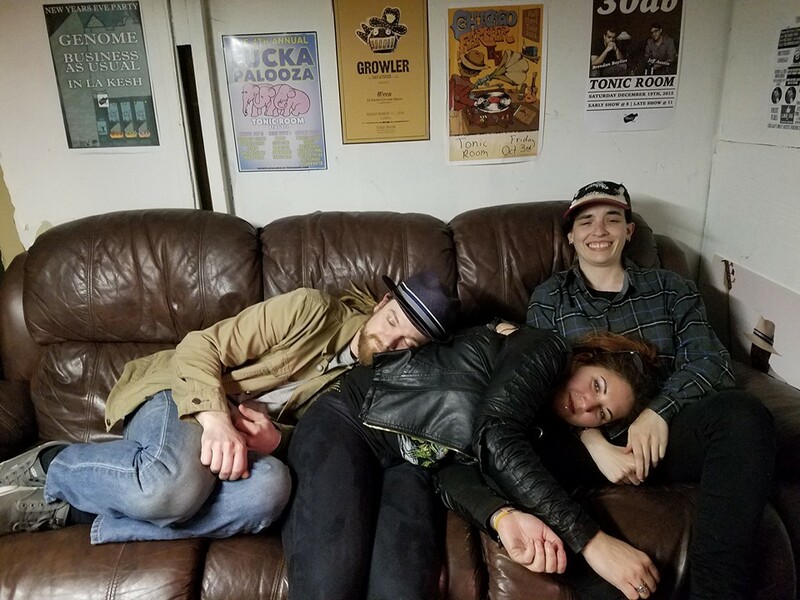 Meghann Wright & The Sure Thing spent a little over a month on the road, and hit over twenty spots on the Nothin’ Left To Lose tour. I took a moment out of their busy travel schedule to talk about gear, touring, and the scary things in life — and we’re not talking about daggers and creepy basements here. Andrew Nesbitt, Meghann Wright, and Eva Lawitts chill out with zZounds before the show! zZounds: I’m gonna start this off talking about your roots. So what’s the first instrument you’ve ever played? Andrew Nesbitt: The first instrument I ever got was Christmas at three years old. I got a toy drum set — I don’t remember who the maker was — with paper heads and maybe one or two little tin cymbals. That was my favorite toy for forever. Within two weeks, I think it had duct tape heads because, I mean, they were paper heads and the sticks were plastic. It doesn’t take much to go right through one of those. The first instrument I actually learned how to play was piano. Around 7 or 8, I started taking for a couple of years before I really started drumming instruction. So the drums were the driving force behind my musical education. Meghann Wright: I think it was piano, and I had really bad ADD, and the teacher hated me and she told my mom I would never be a good piano player because I couldn’t pay attention. I would climb on top of the piano during the lesson and she couldn’t wrangle me, so that failed miserably. Eva Lawitts: I started on violin when I was four, and then piano when I was seven, and then I heard someone playing an upright bass before I ever saw what it looked like. And I told my mom, based on the sound, that I wanted to play the upright bass when I was in the second grade, and her response what, “How about a nice French horn?” I didn’t get [an upright bass] until sixth or seventh grade. Sonny Ratcliff: My first instrument was Banjo at five, followed by bass, guitar, drums and piano. Meghann Wright, using her Fender Acoustic and entrancing voice at the Tonic Room in Chicago. 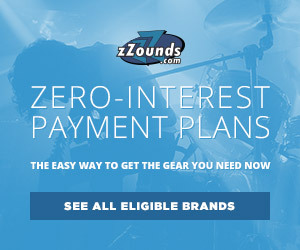 zZounds: What gear are you playing on right now? Andrew Nesbitt: The drum set that I’m using for this tour is made by a company called Phattie. It doesn’t actually belong to me, I’m borrowing it from [Sonny]. I’ve never played on it before this tour. It’s been fabulous. It’s great — I barely have to touch the tuning on the drums. To say a drum stays in tune speaks really well, especially for small sizes. At home, whenever I have to lug my own kit to gigs, I have a Gretsch. My cymbals are a combination of Sabian and Zildjian. Meghann Wright: I’m currently playing a Fender acoustic guitar. I like it. It’s good! I’m not super picky about gear, as long as it sounds fine and it can take a beating. This guitar has come with me on four tours. zZounds: Do you have an amp or anything you plug it in to? Meghann Wright: Oh, no, I just go direct. My main instrument is my voice. Eva Lawitts: It’s the original instrument, after all. Meghann Wright: [laughs] ‘Tis. ‘Tis. Eva Lawitts: I play an ESP PJ5 bass, and usually I play through a TC Electronic cab and a Hartke head. Although, on this tour I’m also going direct because we didn’t have enough room for my stuff in the van. I use a bunch of pedals in this band. I use a Turbo RAT, a Behringer vibrato, a Micro POG by Electro-Harmonix, an MXR Octave Drop, and an MXR Phase 90. 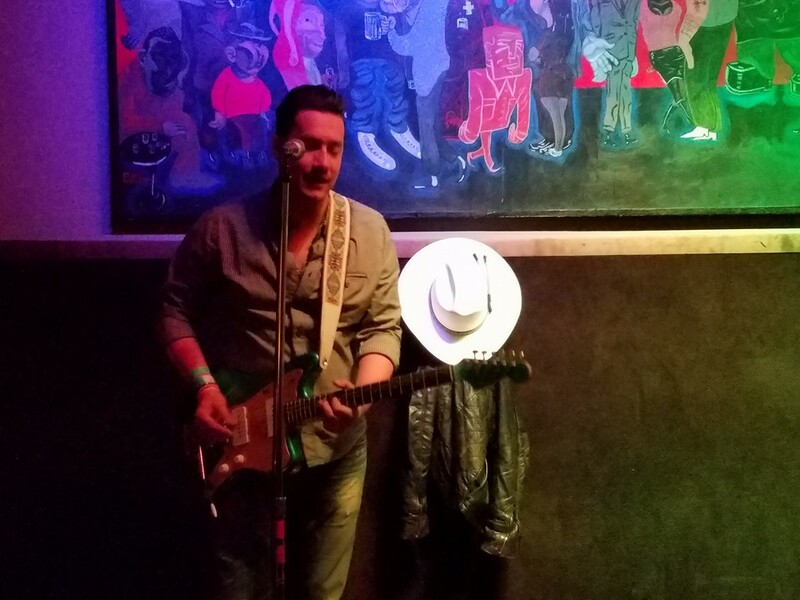 Sonny Ratcliff: My main guitar is an original 1963 Fender Jazzmaster. I also tour with a custom Gretsch hollowbody guitar. They go through a JHS Morning Glory Overdrive, Emma Rezzafratzitz, Z.Vex Fuzz Factory, Mooer Slow Engine, MXR Carbon Copy and a Strymon Flint Tremolo/Reverb. That’s all fed into a vintage 1967 Fender Princeton Amp. zZounds: Meghann, I wanted to ask what the inspiration was behind the title of your album Nothin’ Left To Lose. Meghann Wright: Well, I literally had nothing left to lose because I have given up actual careers, having a real house and a nice car, relationships — really anything else like that. I’ve lost tons of money doing this, too. A lot of things culminated at once — I don’t know if you’ve ever had that weird, life-changing moment where everything around you falls apart and you’re just like, “Let’s just GO,” because there’s nothing else that could go wrong. This will be my second weird life-changing thing. The first was giving up my 9-5 career-day-job-thing I had to move to New York to try to be a professional musician. I had literally no mentors for that — I had no immediate role models. Sonny plays on his ’63 Fender Jazzmaster. My whole life, I’ve been surrounded by people who were not professional artists or musicians. It was something people tried to do, but it wasn’t their main gig. Even my mom, she was kind of a professional musician, but she couldn’t pay all of the bills with that. She was a teacher during the day, but she was a very gifted opera singer, and pianist, and flautist. She tried to instill in us, as kids, that that was a dream that was unattainable. As far back as I remember, she was like, “Just be a teacher! You get benefits, you get summers off.” My whole life was like, “What do I want? What would make me happy?” So this is something that makes me the most happy, believe it or not. I did that in my mid-twenties, and I’ve been doing this now for about six years-ish. But when I first moved to New York, I was a gun for hire — I was a bass player and a guitar player. I didn’t really sing. 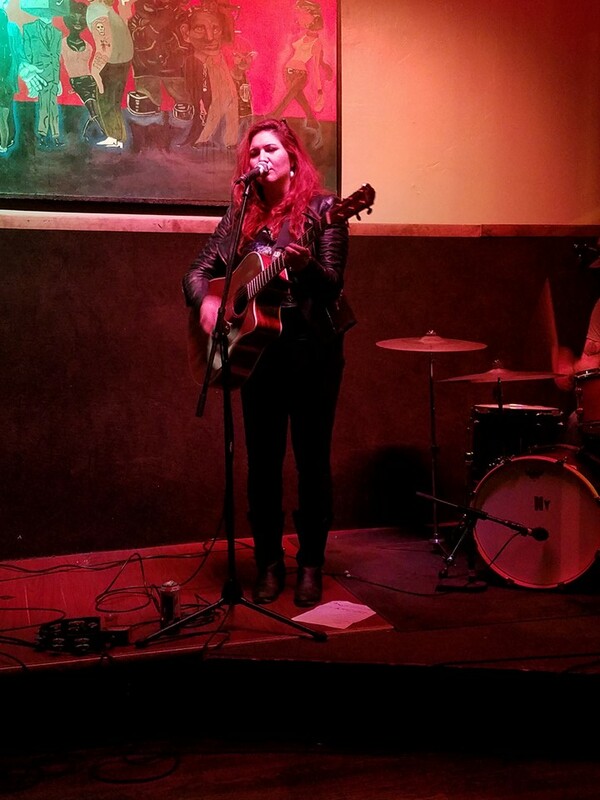 It wasn’t until I’d been in New York for a year and a half that I started writing my own solo stuff, and then I started playing shows as Meghann Wright. I’d never done that before — I was always in bands. Things just started happening naturally. As soon as I put myself out there, I started meeting people, forming bands, booking shows — it’s been slow going, but I think in reality, it’s the normal pace, but I just started so late. zZounds: What about everyone else? Has there been a moment where you felt you had nothing left to lose? Sonny Ratcliff: I rarely feel that way, actually. I have a lot of appreciation for all that I have in my life. I live in Brooklyn and have a great group of friends. There’s so many things in life I not only could lose, but would be terrified to lose. There’s just so many things to see and do. Eva Lawitts: I’ve been touring pretty much non-stop for the past two years. This is my first tour with this band, but I’ve been touring with my own band — which is called Sister Helen — and this other band called Vagabon a lot. I started doing that right after I left college, and I was like, “What am I going to do? I’m out of college, I’ll just tour a lot with these bands!” So after about six months of doing that, I just got to this point where I was like, “I don’t have a job and I’m just all alone out here, and I don’t know what I’m doing. There’s just too much pressure, but also no one is really expecting me to do anything at the same time. Members of the Sure Thing. From left: Eva Lawitts, Andrew Nesbitt, and Sonny Ratcliff. Eva Lawitts: And people have a lot of misconceptions about what touring is like, or about what the music business is like. People think when you tour full time, it’s like this endless summer where you’re hanging out with your friends in the back of a van. It’s so much harder than that. Eva Lawitts: You go months at a time without sleeping in your bed, or seeing your family or people you love, and you don’t eat right. And you get in the car, and you look at the clock and it’s noon, and then you look down and look back up and the clock says five and you’re like [grumbles]. Meghann Wright: That’s another thing I do — I work from the road, so I’m basically working two full-time jobs. It’s a lot, and then you have to get on stage and give everyone a good show. Eva Lawitts: When you’re tour managing, you’re not just responsible for booking the show and promoting the show, you’re also kind of responsible for making sure everyone else in your band knows how to not act a fool. You want to make sure everyone gets to load in on time, and doesn’t represent you poorly. Hopefully we’re doing okay with that! Meghann Wright: Everyone in this band is super professional. They’re always very positive, even if someone is grumpy or something goes wrong, someone’s always there to be like, “Hey man, how can I make this better for you? How can we fix this?” So far, this has probably been one of the best tours I’ve ever been on because everyone’s working really hard together to make sure it’s successful. zZounds: So what do you put in your “road survival kit”? What keeps you going? Andrew Nesbitt: That’s a good question. It’s been a continually evolving road survival kit based on whatever truck stops, convenience stores, gas stations, and — in some cases — grocery stores that we’ve gotten to go to. There’s been Clif bars and bananas, which are on the good side of things, and then the candy bars and potato chips. Lots of Gatorade. Oodles of coffee — so much coffee. We stop for coffee all the time. It’s wonderful. It can be a necessity sometimes when we’re driving a whole lot, especially for the driver. Eva Lawitts: I’m off the coffee. After the first year of touring, I switched to caffeine pills. zZounds: Ah, okay. Straight to the source! Eva Lawitts: That’s right. Cut out the middle-man! Andrew Nesbitt: Yeah, so maybe we just say caffeine is an essential part of the road survival kit. Other than that, it kind of varies. Sonny Ratcliff: I travel with my laptop and extra chargers for my phone, but my main side thing I travel with are colored pencils and Mandala coloring books to pass the time and settle my brain. I’m also a huge fan of audio books for long drives — that makes a ton of difference to me. Meghann Wright: I go with the normal stuff. Laptop, paper, pens, chargers. I have a lot of voice stuff — special sprays like Entertainer’s Secret, and some holistic ones, and some lozenges, Albuterol because I have asthma. All kinds of decongestants and anti-histamines, because as you’re traveling from one place to another, you’re inevitably going to be allergic to something that you’re not around all the time. Meghann Wright: It does a real number on your voice, for real. I guess the only other thing I would say is alcohol. After I’ve been working all day, it’s good to turn my brain off…it’s nice to be able to relax. Eva Lawitts: The one thing I make sure to bring that none of y’all have mentioned yet is a sleeping bag. Meghann Wright: I never even bring a sleeping bag! Eva Lawitts: I always bring a sleeping bag, and I always try to procure one of those $8 air mattresses from Wal-Mart. Food that you can keep in the van — Clif bars and I this mushroom jerky stuff that I eat a lot. Eva grooves on her ESP PJ5 bass. 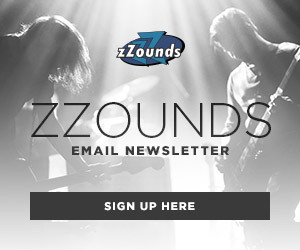 zZounds: So what’s next for everyone after the tour? Sonny Ratcliff: As soon as I get back from tour, I start working as an editor for The ESPY Awards on ABC/ESPN — that’s my day job. I’m releasing another record this year with the band I play drums in, Bucky Hayes and The Commonwealth. I’m promoting a record I produced and played bass/guitar on by The Morning Sea called ‘Mal De Mer’. Andrew plays in that band with me as well, and we have shows booked all summer. So no rest. No rest ever. Andrew Nesbitt: I’m going straight back to work. I teach music lessons as my day job, so that’s not all that bad really. I teach kids how to play piano, guitar and bass, and drums. I just have a bunch of lessons the day after I get back. I play in a couple of different groups in New York city as well. Since I’ve been gone so long, I have rehearsals and a show my first week back. It kind of keeps going. I get to play music every day. It don’t stop! Meghann Wright: Yeah, I’m gonna go back to work, and back into the studio. I have a publishing deal and we’re trying to get some syncs, so anytime they send me something that they need filled, I just try to make it for them as soon as possible so that I can just make money doing music rather than having to book stuff at a bar. Eva Lawitts: First of all, I work for a really great non-profit called We Make Noise. They run the NYC Rock Camp, and also Music’s Cool Music School, both of which I work at, and which I would recommend checking out. They’re a great non-profit. The Music’s Cool Music School helps put music education programs in public schools that don’t have them in neighborhoods like Bushwick, Bed-Stuy, and Brownsville. The NYC Rock Camp is a week-long program that’s sliding-scale music education summer camp/day camp type of thing. I’m also making a couple of different albums this summer. The band I mentioned before, Sister Helen, is putting out two albums. I’m recording with PSYCHAUDIO — we’re putting out an album this summer. And then Vagabon, we’re finishing that album. I’m in another band called Caretaker that’s putting out an album this summer. Is that it? Is that all the summer stuff? If I left anyone out, I’m sorry! zZounds: I have a question for Meghann specifically. I know Eva was talking about We Make Noise — the non-profit she works for. I read about your project The City & The Heart. Please tell us a little bit about that. Meghann Wright: It started out in 2012 or 2013. 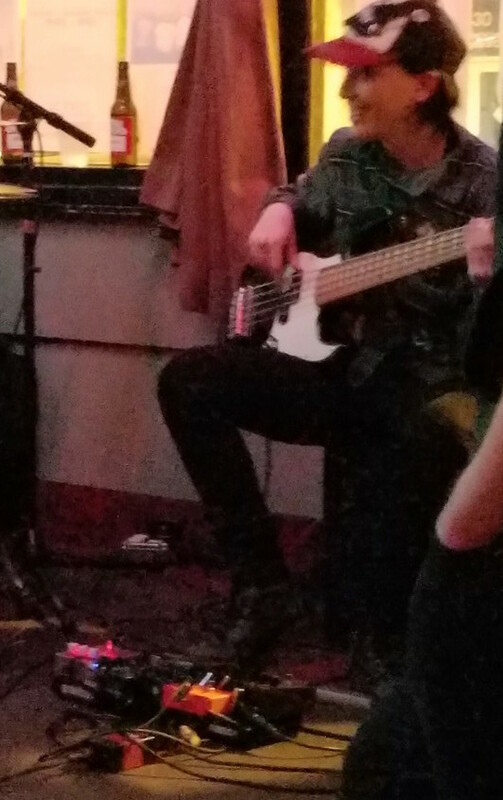 I used to run an open mic in Manhattan, and I started meeting a lot of young female artists that had kind of the same backstory as me, where they’d just moved to New York and didn’t know anybody, they didn’t know people to play in their bands, they didn’t know where to record — stuff like that. So it kind of happened organically where it became this community of people who were always talking to each other and always helping each other out. Then I decided it’d be cool to do the old-fashioned punk rock thing and make a compilation album of all these different independent artists in the city. We started having showcases to raise money, and we put out our first record in 2014 — that was available digitally on thecityandtheheart.bandcamp.com. You can also check it out on SoundCloud. Last year, we actually put out a physical release — just like 50 limited copies — and raised money for an organization called Safe Horizon. It’s a non-profit that benefits victims of domestic violence. Any donations we get for actual physical CDs or through downloading goes straight to them. It’s a really great cause. When I first was looking for an organization to donate the money to, I was looking for something specific like women’s shelters because I wanted to keep it female-centered, but then when I started reading about these organizations, I came across Safe Horizon. I really liked them because they didn’t discriminate at all — they help out LGBTQ community, kids, men, women, everybody. That, to me, was really important. I’ve had a great time working with them. We’ve done specific showcases for them, where we raised money at places like The Bitter End in New York. Right now I’m seeking submissions for the third volume and my hope is that we’ll be able to put it out on vinyl. October is Domestic Violence Awareness Month, so last year we did the limited copies for that. My goal is to just keep it going, and I would love to just make an actual thing out of it. I’d like to have other chapters in other major cities like The City & The Heart Nashville, or Chicago or places like that. It’s tough because it’s really just me — the only help I get is people sharing it or submitting their songs. The women who submit their songs are awesome, and they understand that it’s for a good cause and everything. Just the whole organization and administrative process is mostly just me. I was pretty amped during the show. Eva killed it on bass, and Sonny Ratcliff added character-filled solos. 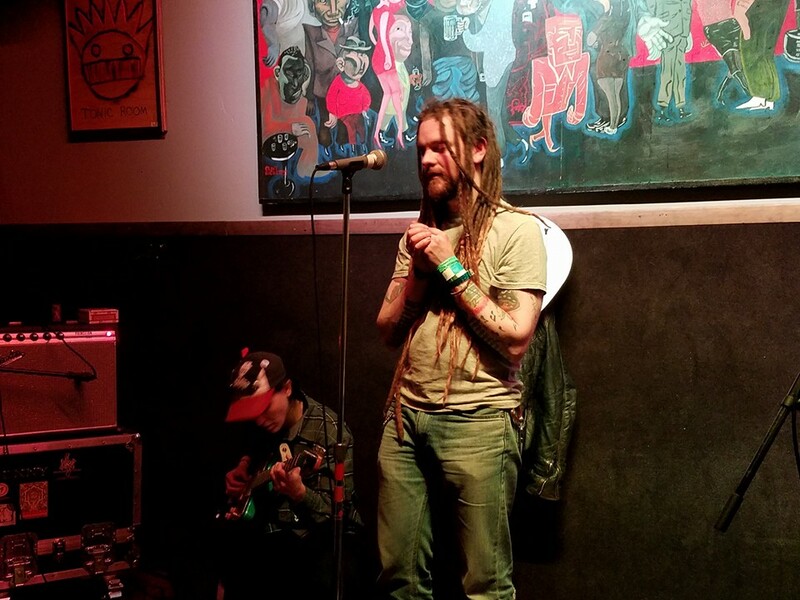 At one point, Andrew played the harmonica and delighted the audience with a cover of a Bryan Adams song. It was cool, because for that song, Sonny took over the drums, and Eva played on the floor with Sonny’s guitar. You could tell the whole band was having a good time, and loved what they were doing. It makes all the sacrifice worth it — to put on something that others will enjoy so much. It’s really great that these people can make music, and also use it as a way to give back to causes that concern them. Meghann Wright & The Sure Thing has so much spirit and heart — both on stage and off. Andrew gets up on the mic, while Eva plays on Sonny’s guitar. My name is Hayley! I'm a displaced Southerner from North Texas, avid reader, and that nerd that plays wind instruments (flute, clarinet, oboe, and now an EWI). I'm obsessed with tacos, corgis, and warm weather.